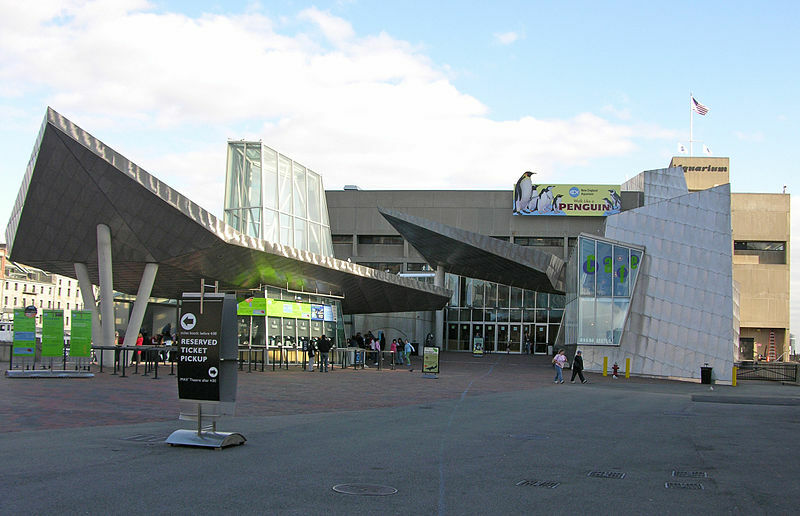 The Aquarium is located at 1 Central Wharf, near the Marriott Hotel and close to Faneuil Hall/Quincy Market.The Aquarium is located at 1 Central Wharf, near the Marriott Hotel and close to Faneuil Hall/Quincy Market. Take Exit 23, marked "Gov't Center. North End, Aquarium, Quincy Market." Turn left at Surface Rd. and continue for three blocks. Turn left at Milk St. and the Aquarium will be straight ahead. Take the Mass Turnpike to I-93 North. Take Exit 23 off I-93, marked "Gov't Center. North End, Aquarium, Quincy Market"
Take exit 24 A-B (Callahan Tunnel/Government Center), which is the first exit after you enter the Thomas P. O'Neill Jr. Tunnel. Take the right or "A" side of the divided exit (Government Center). Stay left to turn onto Surface Road at the light. Go 2 blocks to Milk Street and turn left and the Aquarium will be straight ahead. Take Memorial Drive North to the intersection of 28 (McGrath-O'Brien Hwy) and go right, past the Museum of Science. When you come to the intersection of Storrow Drive, go straight across the intersection into the tunnel for 93 South. With over 70 exhibits featuring animals from all over, this aquarium is sure to entertain. You will be greeted by penguins as you enter, and then by awestricken as you wind your way around the four-story giant Ocean tank which include a huge Caribbean coral reef! You can end your trip with a visit to the seals in the open-air exhibit out back. Ever wonder what it's like on the other side of the tank glass? This video is an underwater tour of the Giant Ocean Tank at the New England Aquarium. If you want the full Boston vacation experience, check out the Boston CityPass. It includes admission to the New England Aquarium, Museum of Science, Museum of Fine Arts, Boston and the Skywalk Observatory or Harvard Museum of Natural History.